There is something about a hard cover book that just adds to the enjoyment of reading. It feels weighty. It is a proper ‘book’. This week’s review is one of those. 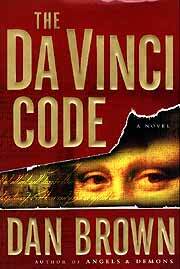 The Da Vinci Code by Dan Brown and released by Doubleday publishing last year (ISBN 0-385-50420-9) is a whopping 450 page hard cover epic, and I enjoyed just picking it up from the shelves. It promised so much, just from the presentation. The story begins with an American symbologist in Paris, Robert Langdon, who becomes the chief suspect in the murder of the curator of the Grand Gallery of the Louvre, the home of Da Vinci’s famous painting of the Mona Lisa. The French police begin tracking Langdon, who meets up with a deciphering expert, a Ms. Sophie Neveu. Ms Neveu works for the French police, and is the estranged granddaughter of the murdered curator. On the other side of the story is a fanatical sect of the Catholic Church, willing to stop at nothing to get their hands on the Holy Grail, a mystical chalice that is looked after by the murdered curator, the successor to many who have looked after the secret for centuries. As the story unfolds, more people are dragged into the search, some on the side of protecting the knowledge, and others on the side of destroying its information. Throw in some modern day bounty hunters, a knight of the realm, a combination of hundreds of years old logic and modern computerized web crawling, and you are starting to see the bones of the plot. Plot and sub-plot, twists and turns, it is all there with an amazing turn of events at the end which may leave some readers stunned, others disappointed, but nobody will have been able to guess the ending. The butler didn’t do it - but he almost did! Other authors and critics have given this book plaudits such as “pure genius”, “the finest mystery”, “fascinating”, “perfect for history buffs, conspiracy nuts, puzzle lovers, or anyone who appreciates a great riveting story.” What can I say to go further than that? I can only say I concur. The review copy was made available by Bookazine, and should be in all good book stores. This book is an historical who dunnit without peer. The writing itself is superb, with author Brown dropping hints at the end of chapters that make you turn the next page, just to follow the thread. He alternates between short chapters and longer ones, just to keep the story going from all the viewpoints of the different characters who are introduced in the novel. Technically excellent. However, the ability to weave fact and fiction into an extremely credible yarn is what makes this book outstanding as far as I am concerned. The phrase “You can’t put it down” is overused by reviewers, but I am using it here for a good reason - you cannot put this book down! The best thriller I have read for many years. Get this book and savour it. The RRP was B. 695, and this book is worth every last satang! This review comes in two parts. First let me deal with the music. This starts out with Eric Clapton in 1974, when he has already been a professional axe slinger with an American Blues fixation for over 10 years. 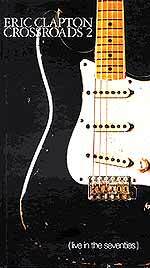 Eric Clapton then found a home in John Mayall’s ‘Bluesbreakers’ for a year. (Apart from a mad couple of months where he cleared off with a bunch of mates on a bus to the Greek Isles, the joyous folly of youth. I bet Mr. Mayall was none to pleased though, but was keen to have him back when he returned, ousting his replacement Peter Green for the guitar spot. The Bluesbreakers then recorded the seminal ‘Bluesbreakers with Eric Clapton’ album (often referred to as the Beano album as on the front cover shows our Eric reading the world famous kids comic). It was during this period that Eric Clapton picked up the nickname ‘Slowhand’, which has stuck with him ever since. But ever the restless soul, Eric Clapton did not even last a year in the ‘Bluesbreakers’ before he joined forces with Ginger Baker and Jack Bruce to form the first supergroup ‘Cream’. Now I am not saying that they were successful, but Atlantic Records had to invent the Platinum Disc award to show off how many album sales ‘Cream’ had and all their concerts were sold out all across the world. But even this could only keep Eric Clapton’s attention for two years when after a long Farewell Tour the three members of ‘Cream’ went their own ways. Another supergroup was formed with Steve Winwood (of ‘Traffic’ fame amongst others), but that didn’t keep Eric occupied for a year before he was off again. After a stretch on the road with buddies Delaney and Bonnie (that’s Delaney and Bonnie not Shenanigans and Bonnie! ), Eric Clapton formed Derek and the Dominoes in May 1970. They managed one worldwide tour and the phenomenal double album ‘Layla and other assorted Love Songs’. The inspiration for this album was supermodel Patti Boyd, who Eric was passionately in love with even though she was married to his best friend George Harrison. Eric’s guitar playing on ‘Layla’ was pushed to new heights by the presence of Duane Allman, who challenged him all the way. But when after less than a year the Dominoes imploded, Eric’s personnel life was in tatters and he retreated to his country mansion, where he remained housebound with Patti Boyd, force of habit. What a waste of the next three years. Fortunately for Eric and the world of music he had good friends (including long time producer Tom Dow and ‘The Who’s Pete Townshend). They helped Eric back onto the road of sanity. The first result of which was the album ‘461 Ocean Boulevard’. In the next four years Eric released five more albums under his own name and toured the world with three separate touring bands, both to worldwide critical acclaim and ever increasing sales. Over the 4 CDs and four years the road band has whittled down from a 7- to a 4-piece, with second guitarist George Terry, backing vocalists Yvonne Elliman (she of Jesus Christ Superstar fame), and Macy Levy lose their places. But this just adds to the variety of the music, and what is right and proper Eric Clapton’s guitar is always at the fore. With the possible exception of the dreadfully slushy ‘Wonderful Tonight’, the music is 5 Star all the way. As for the second part of the review. What on earth are Polygram trying to do regarding the price? Even with Amazon.com discounts the 4 CD package comes in at 54 US Dollars. OK, you get a 44-page color booklet and each CD is over an hour long, but some of the material was previously available as ‘E.C. was here’. All of the tracks from that album are on this collection, and everything else is from the archives. So no costs have been spent on studio time or re-recording anything. Surely this was a great chance to give something back to the constantly paying punter. Not only that, but a lot of people must have been put off by the high price tag, especially as all of the songs in one way or another have been available on previous releases. You also get several versions of the same song spread over the 4 discs. You get three versions of ‘Have You Ever Loved A Woman’ on Disc 1 alone. For this outrage I award the record company 1 Star, which balances out at three. Great music though. Eyesight To The Blind/Why Does Love Got To Be So Sad?